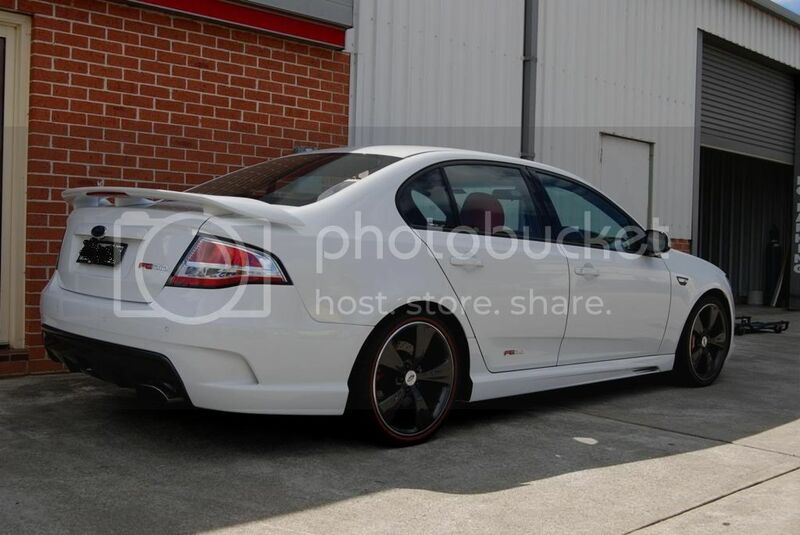 A mate of mine told me that Gas Motorsport are building a big power one that they are looking at making 1000rwhp with. 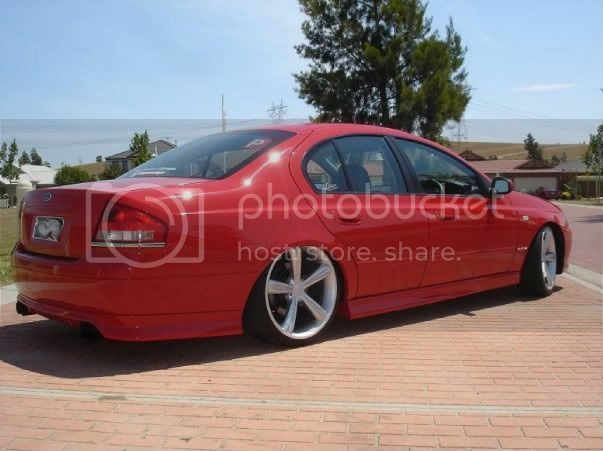 It has custom bottom end fully ported head big cams and a 2500hp turbo. 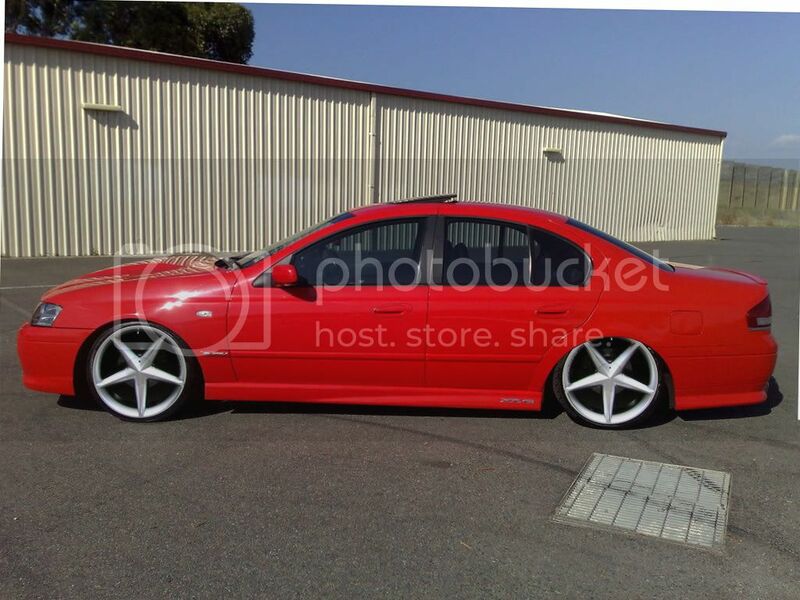 Yes mate. 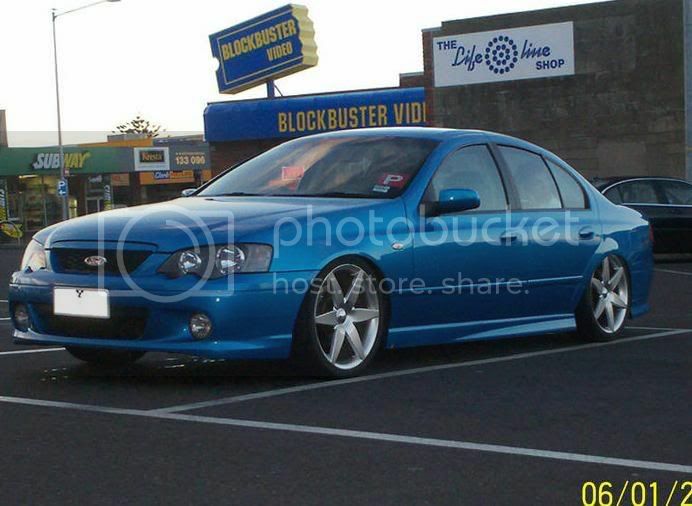 Did you replace it with good stuff or just same as was in there? 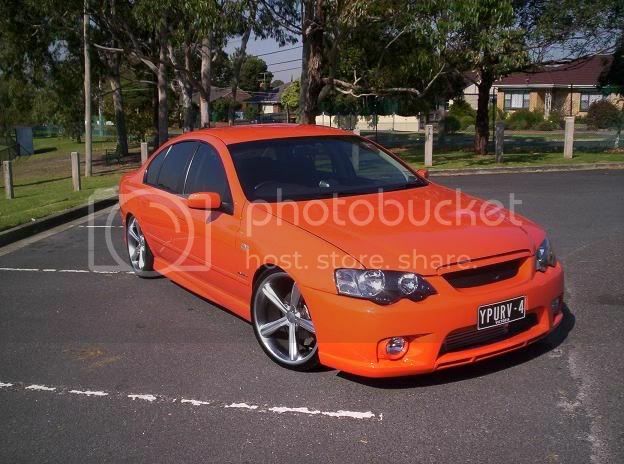 INFLYT, you should see your old car now... you'd cry. 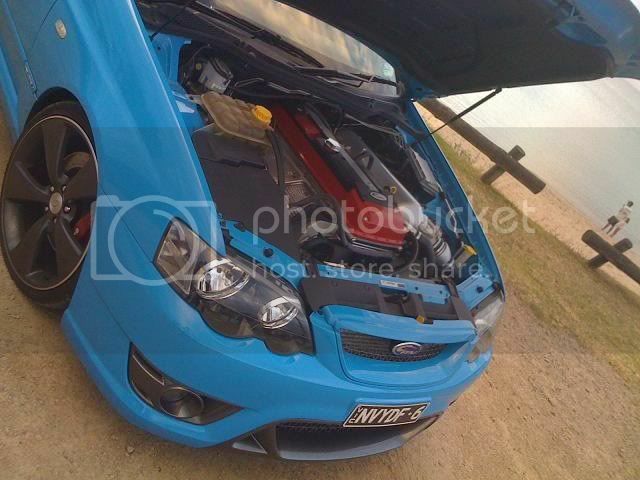 Yes that is one big build, but there is currently another build happening & I believe the guy is going for 1000rwkw. 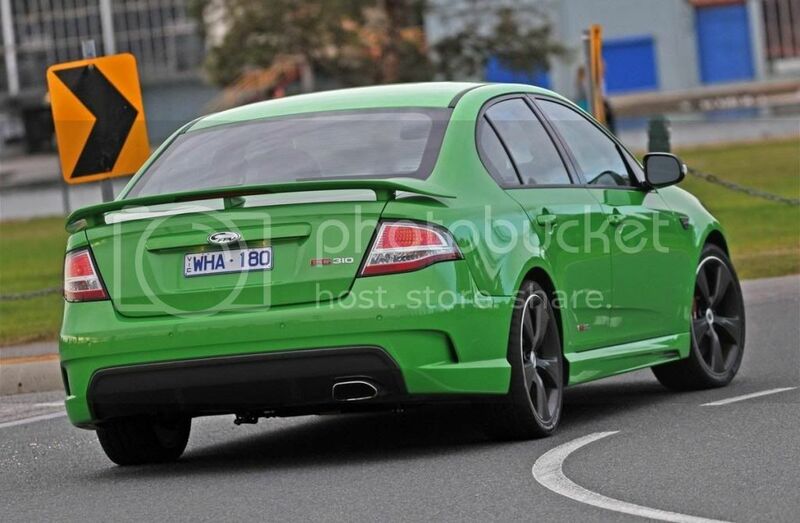 Atleast it looks better now that it's not cruising with stockies on the back. 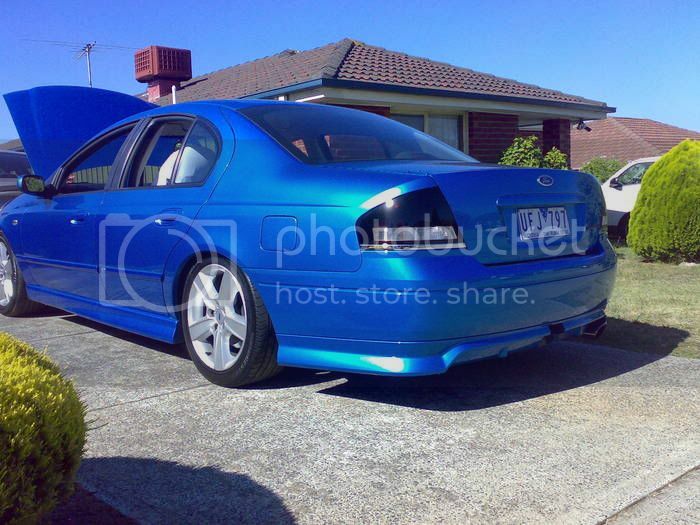 Hey, I cant see it due to not being a member. 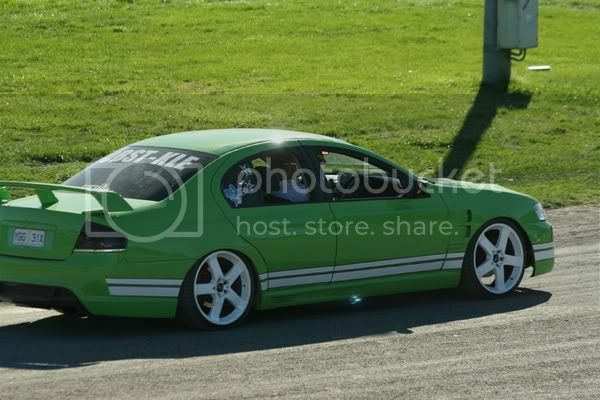 We were next to you in a 10 sec VL one night... your car is quick, thats for sure. 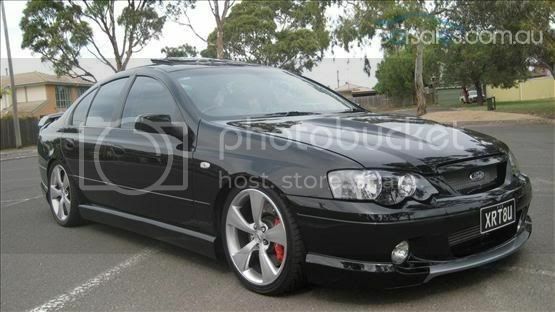 Such a sleeper. 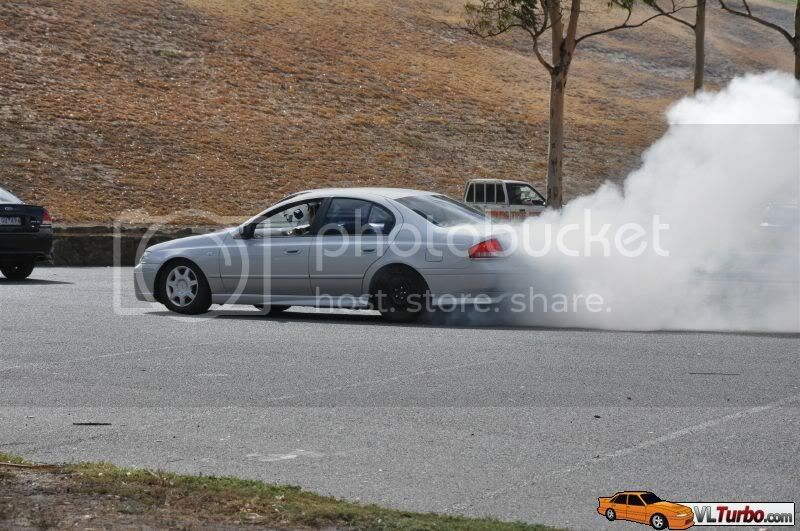 Yes, that would be Spiro's car. 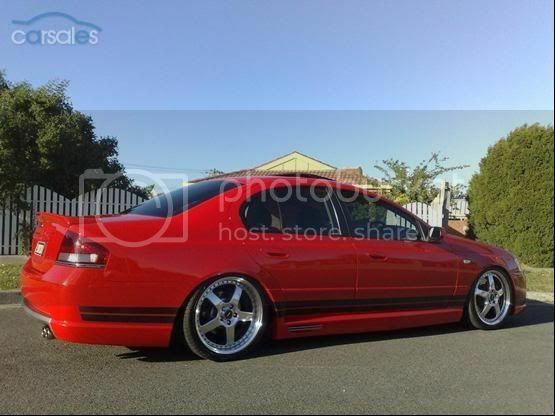 He previously had a 10.4 second Black XR6 Turbo built by the boy's (CV), but now has this new F6 Typhoon that he want's to run 10's in manual form in. 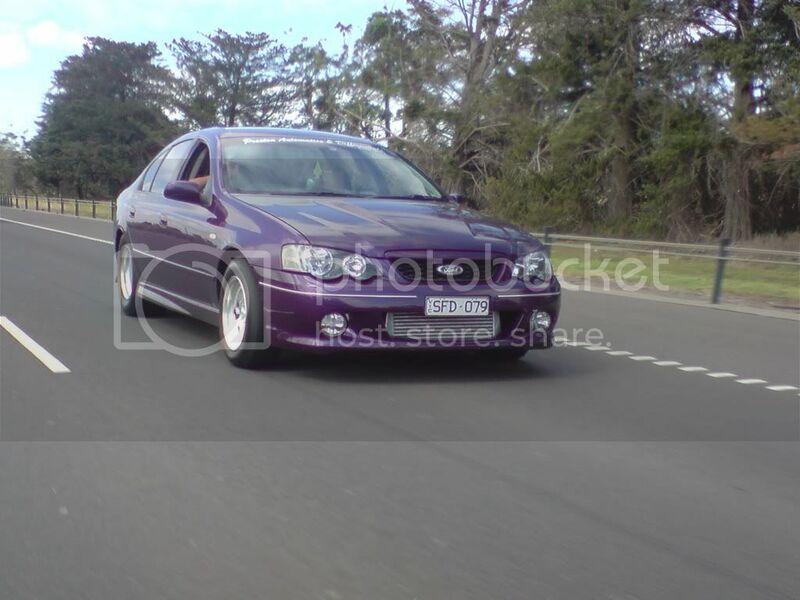 Why was he cruising with stockies on the back!? 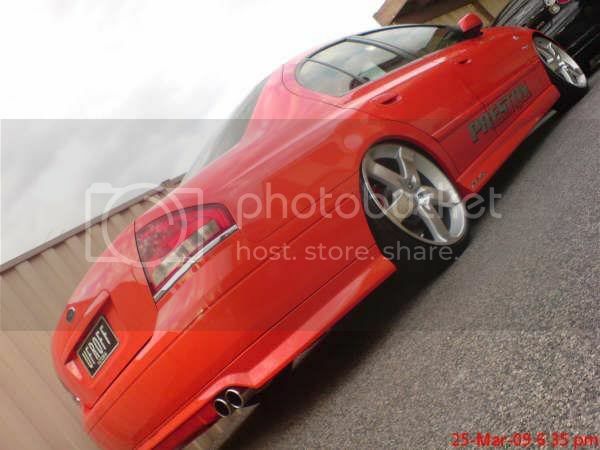 BTW, for those playing at home, UFOPSI is my old car. 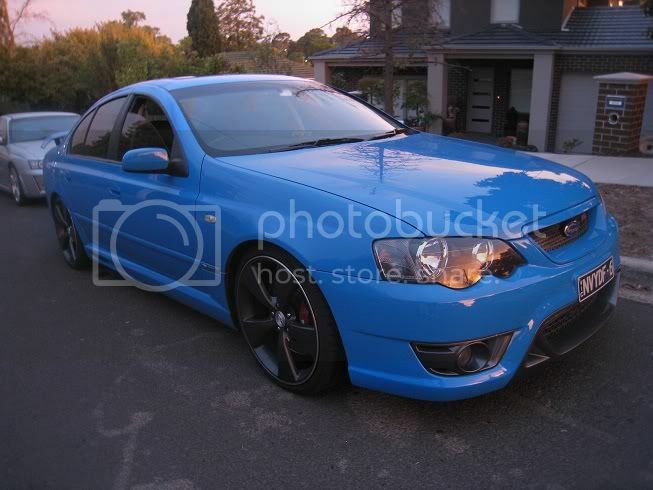 Which is better, before (right at the top), or after? 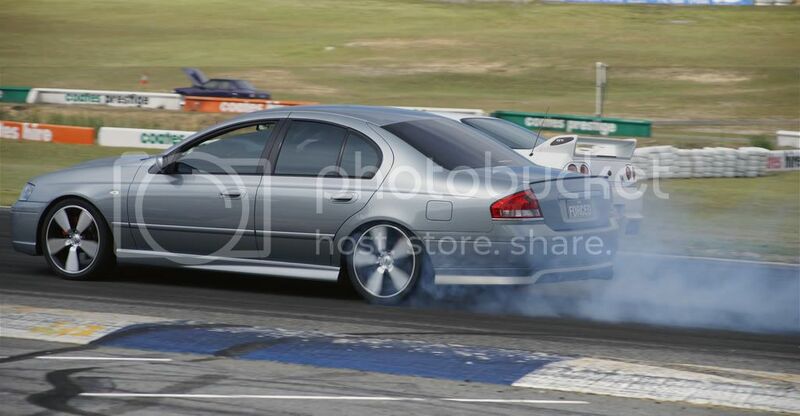 ufopsi looksss tuf as !! 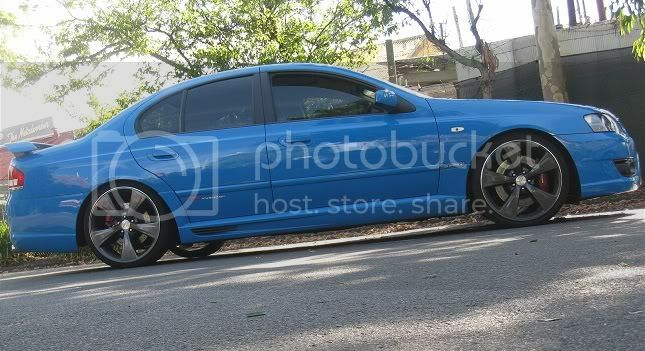 more pics ??? 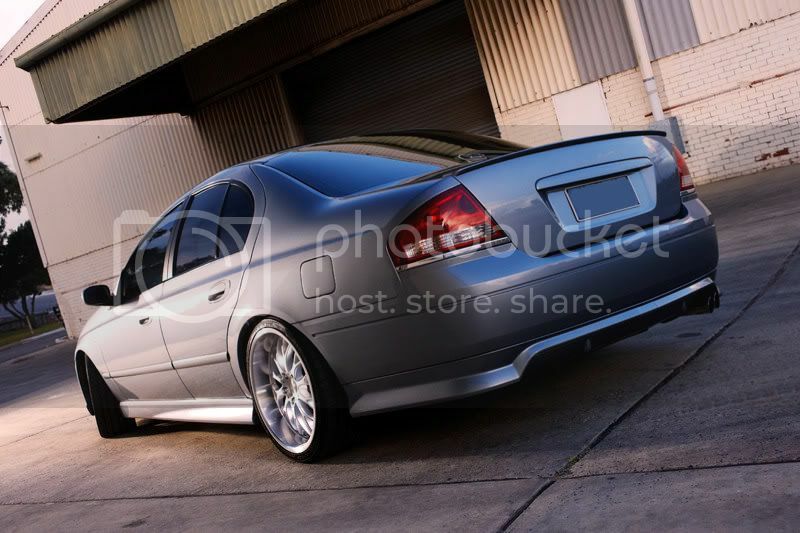 each to their own on the way it looks, i liked it better before but i guess thats what he likes. 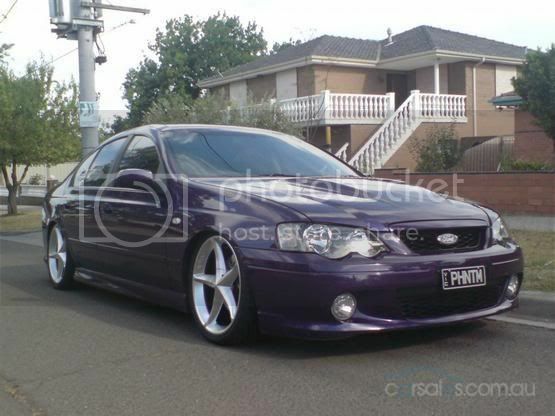 My mate did all the body work on it.. boot is now shaved of the ford badge and the wing holes etc. 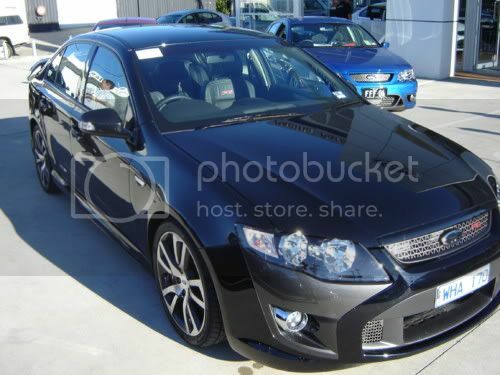 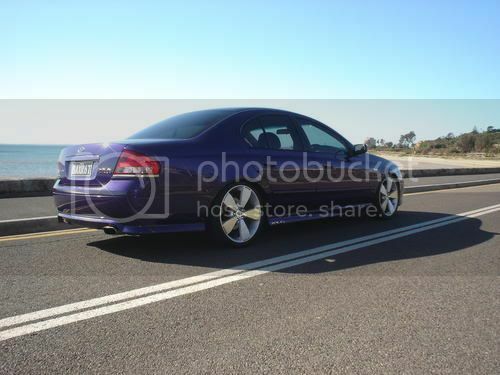 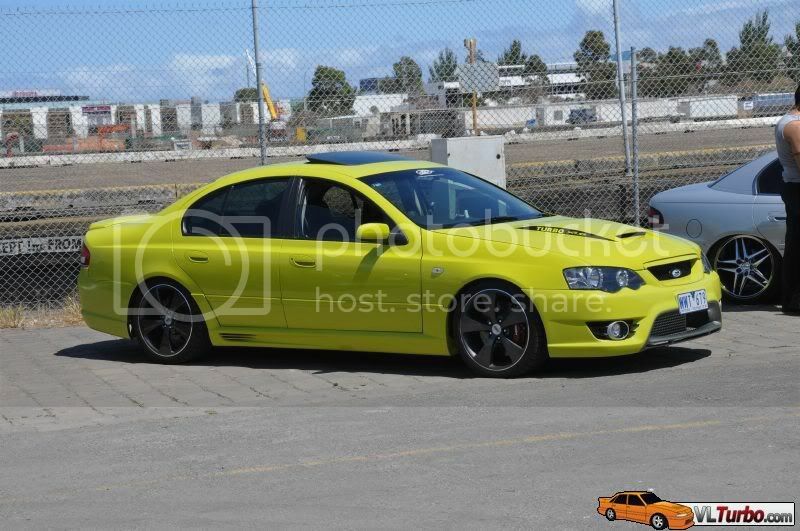 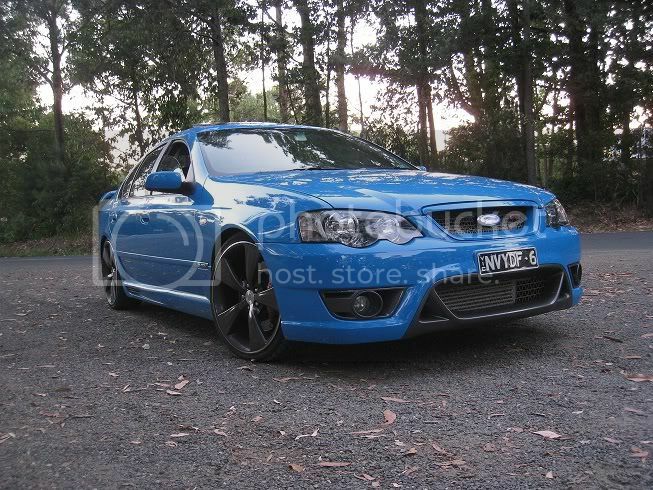 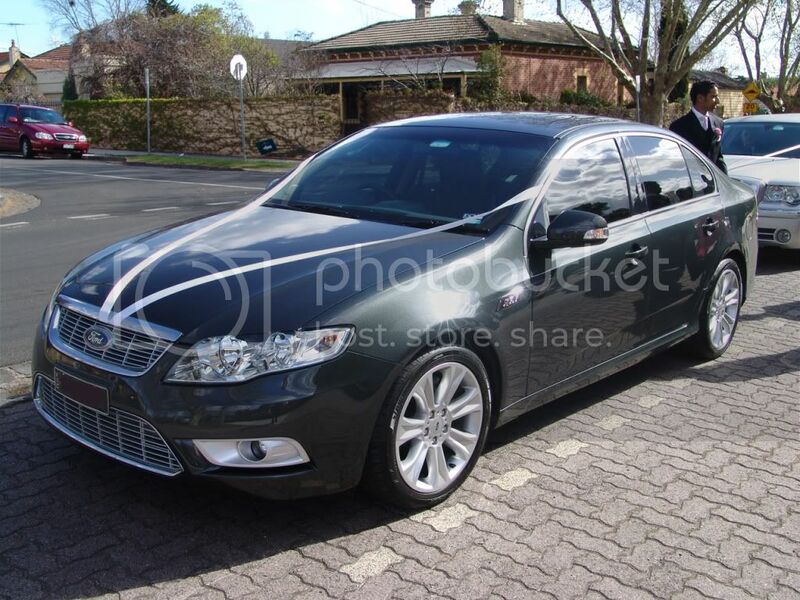 And no one has noticed the XR8 bonnet? 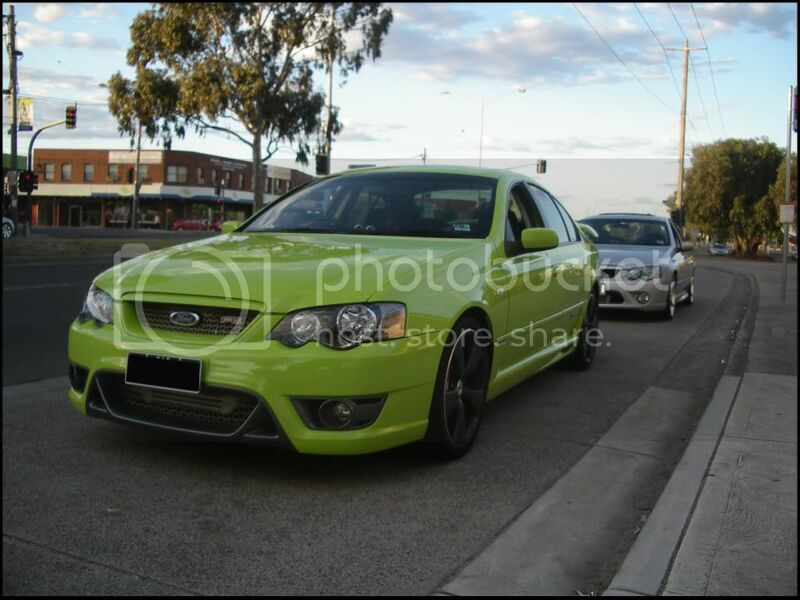 Street Fords shoot coming up and hopefully ill be taking some pics of it in a few weeks too. 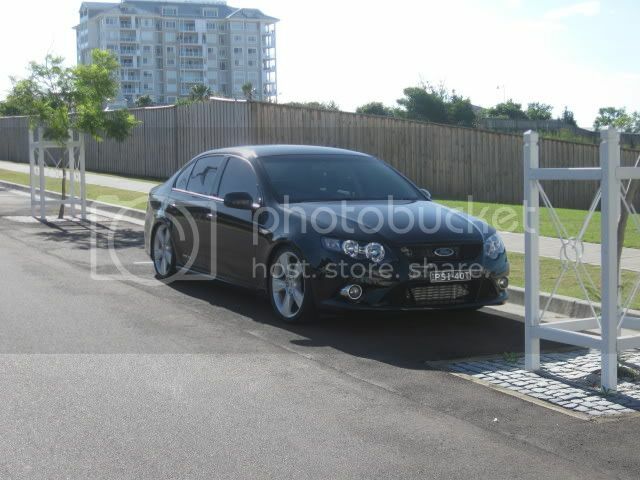 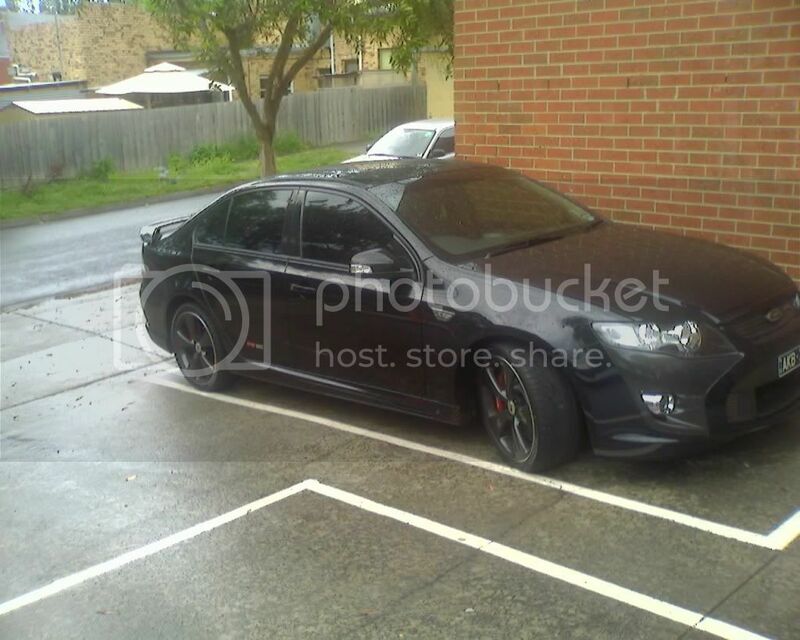 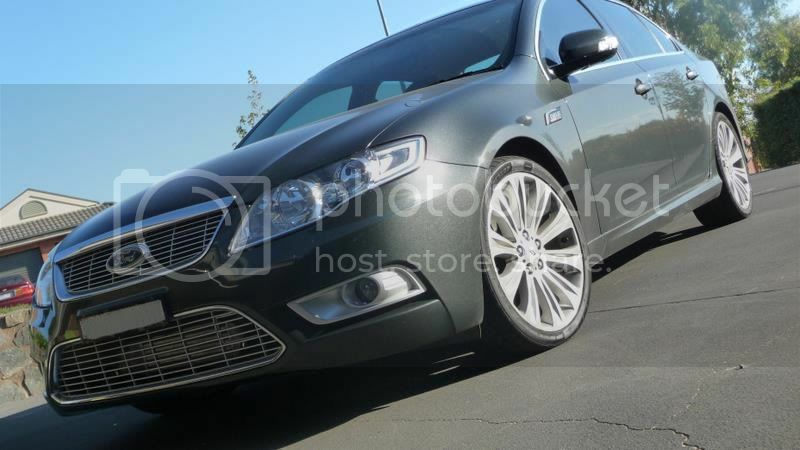 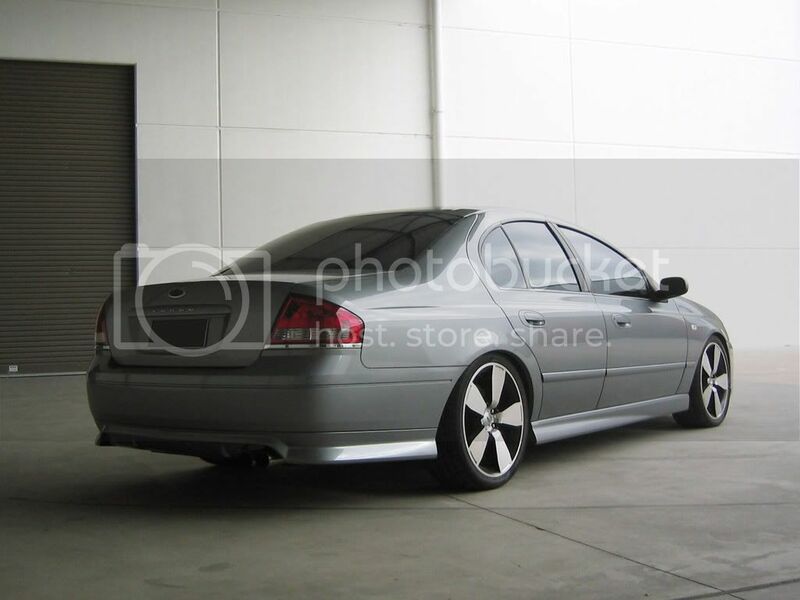 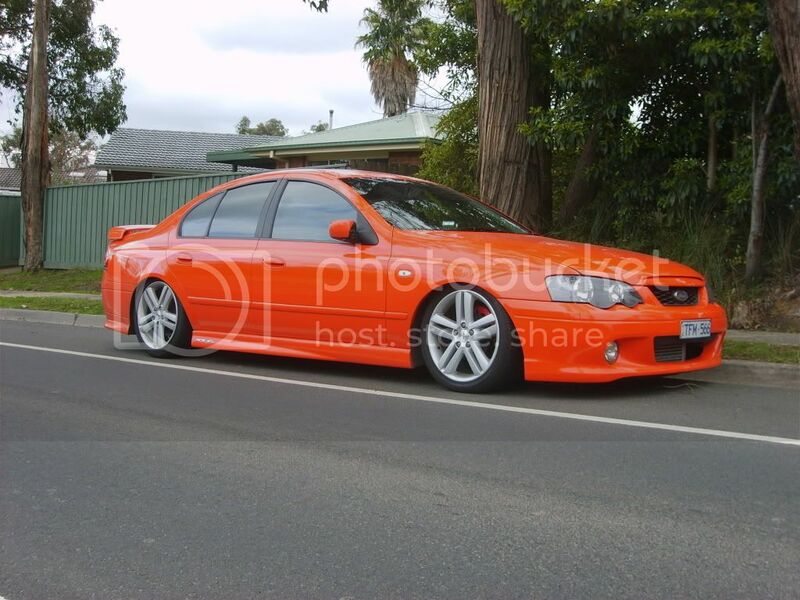 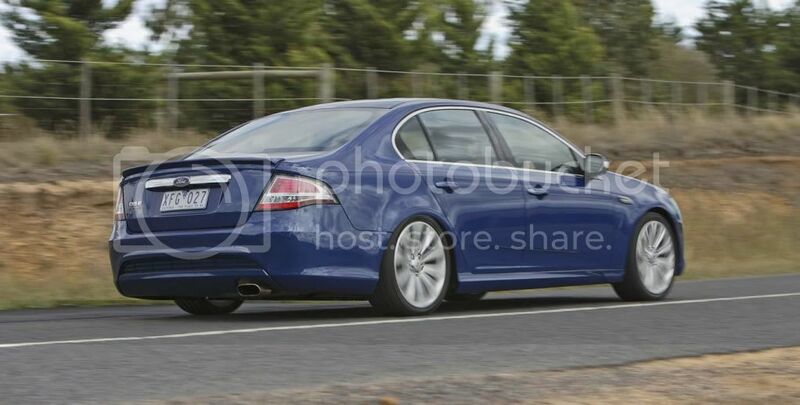 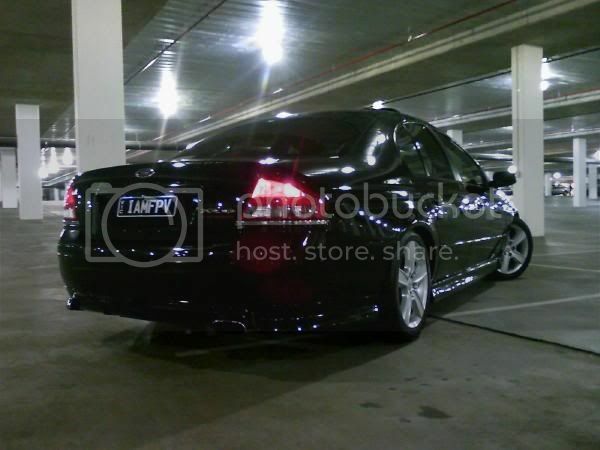 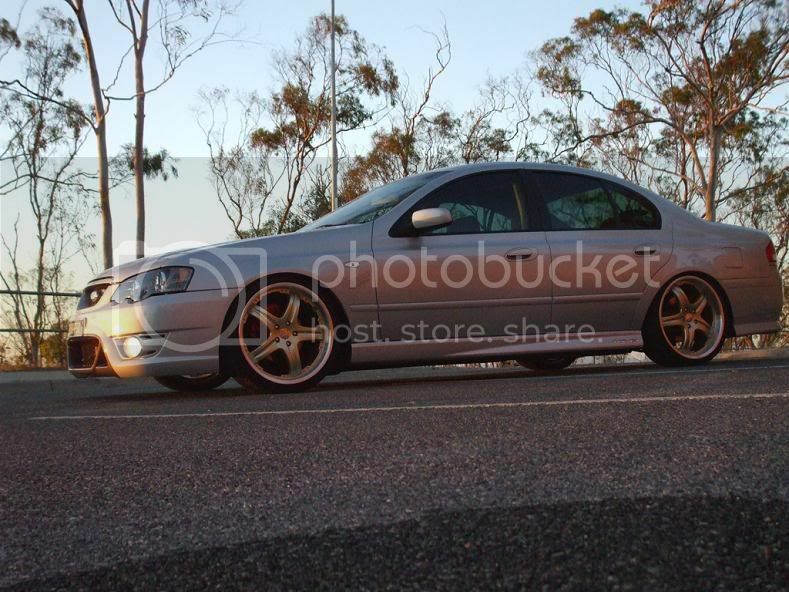 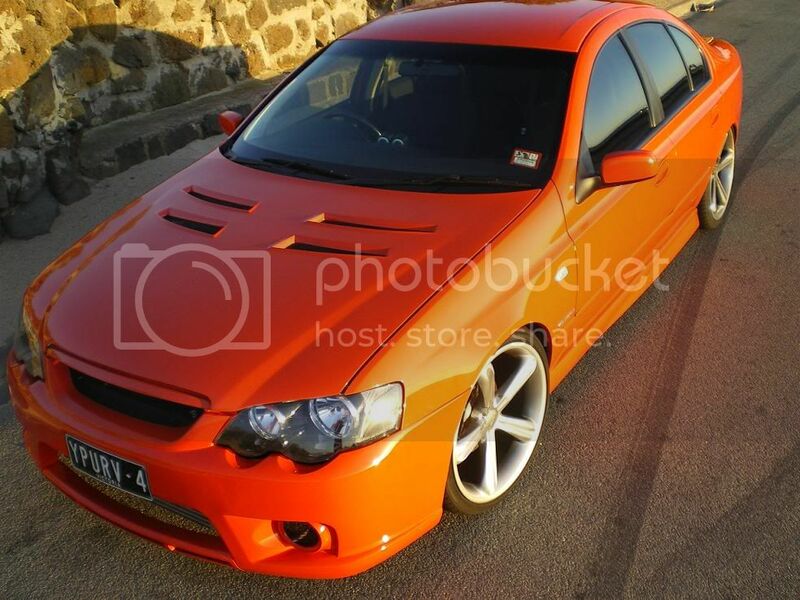 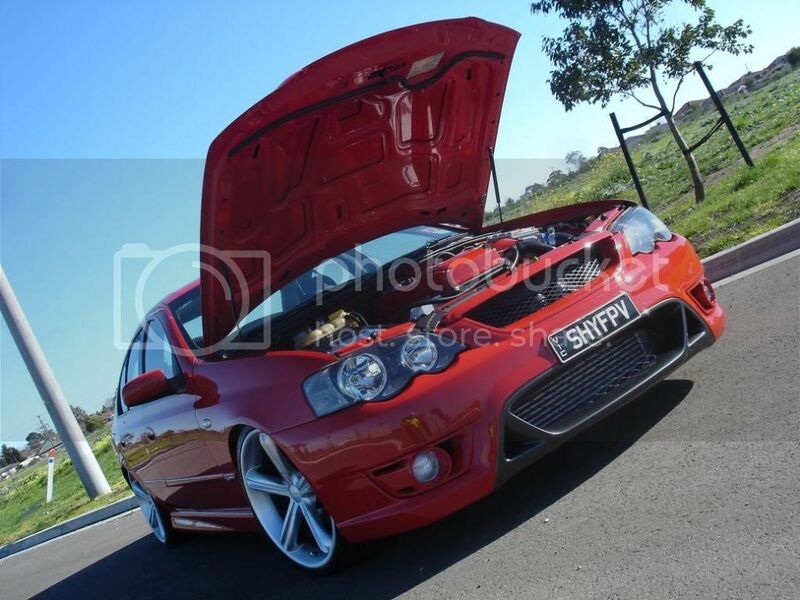 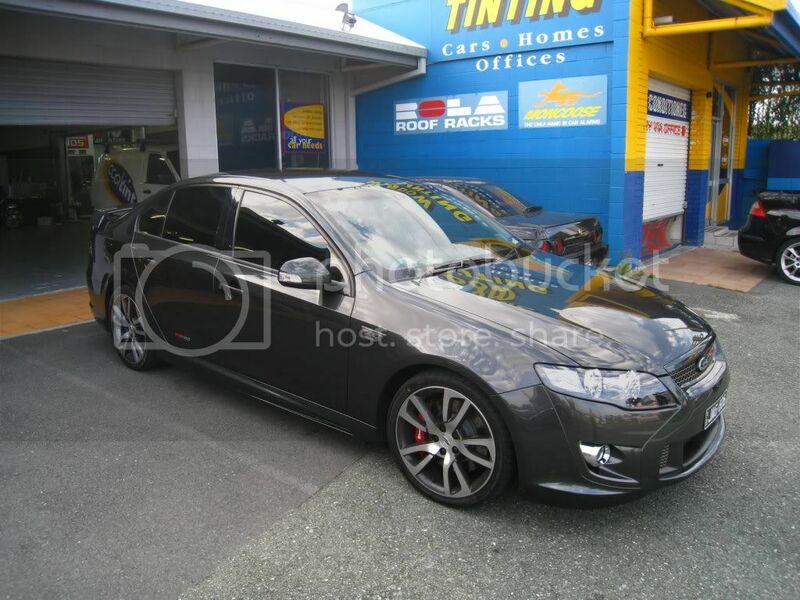 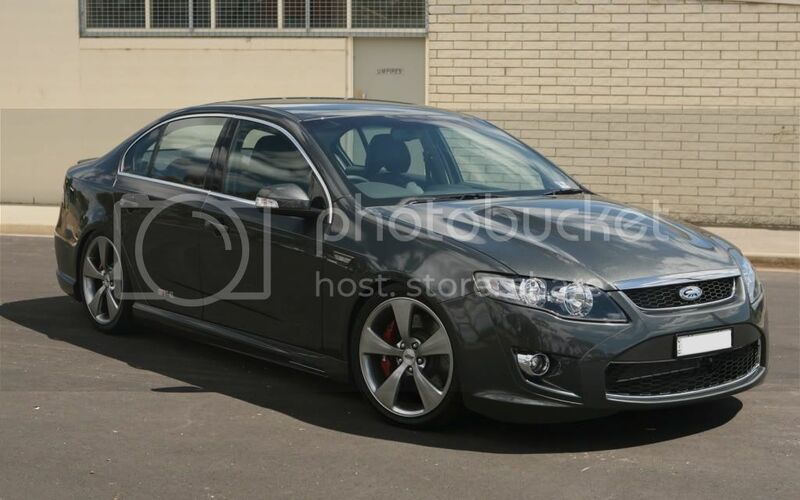 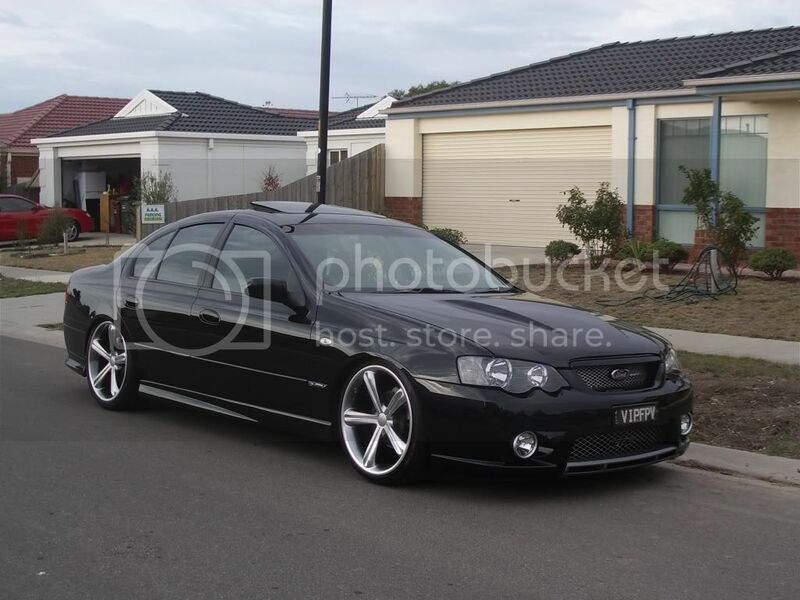 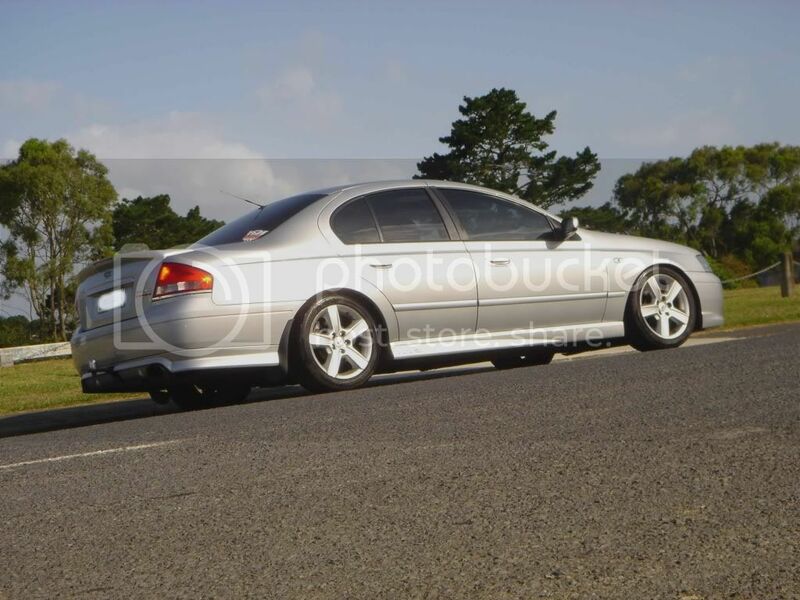 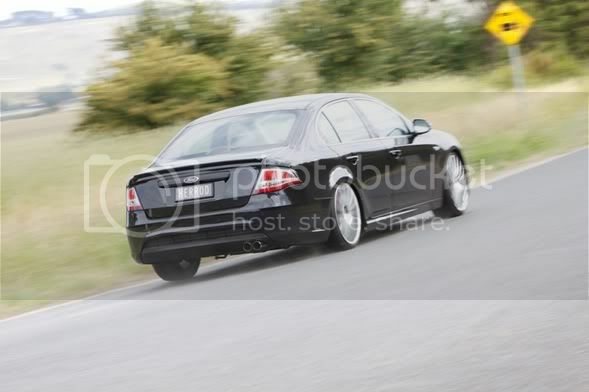 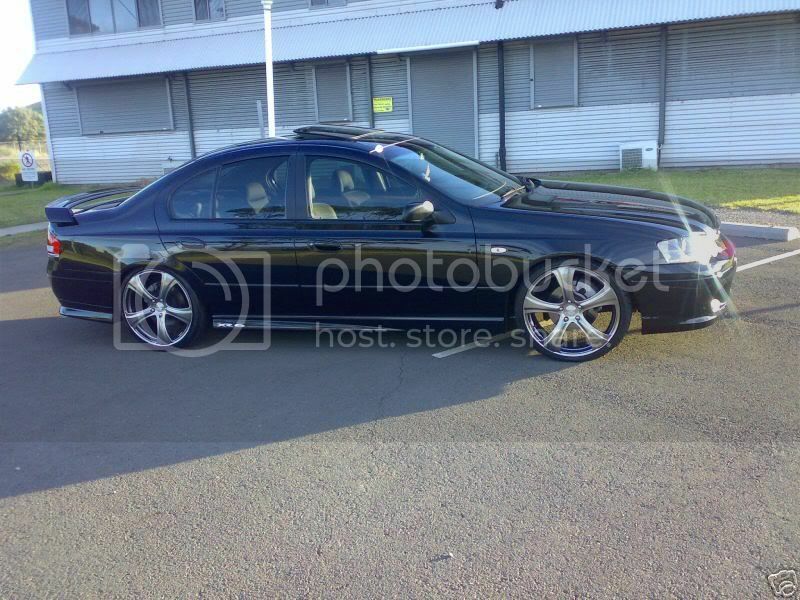 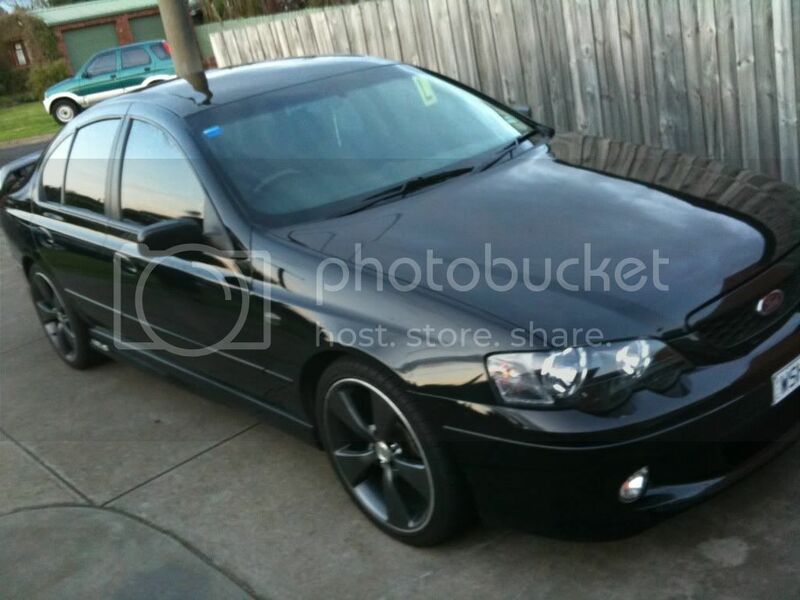 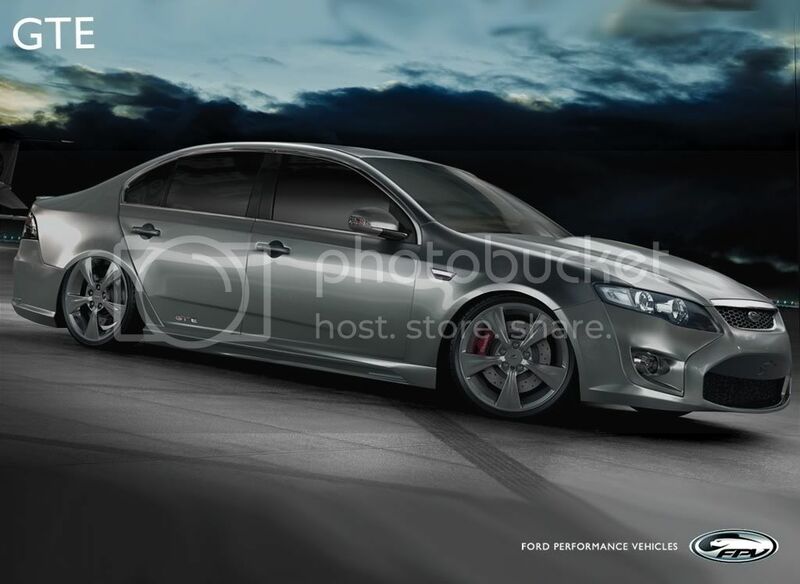 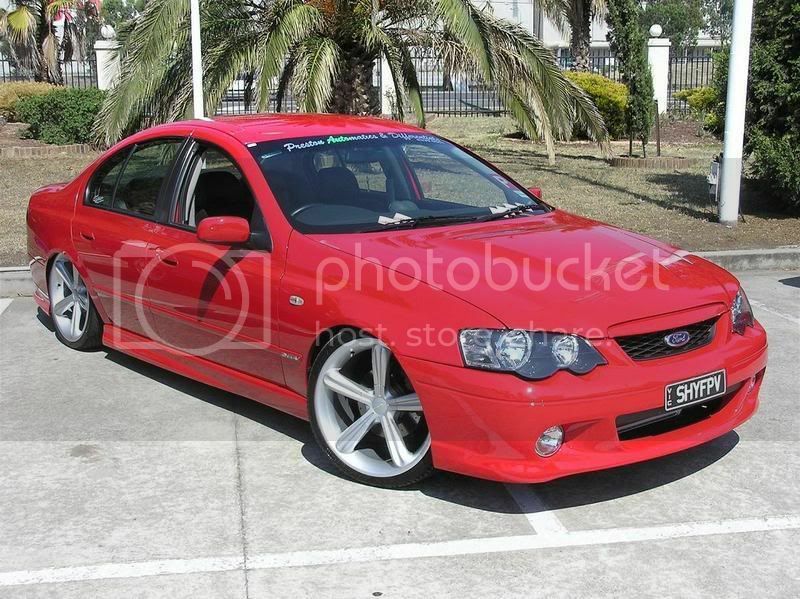 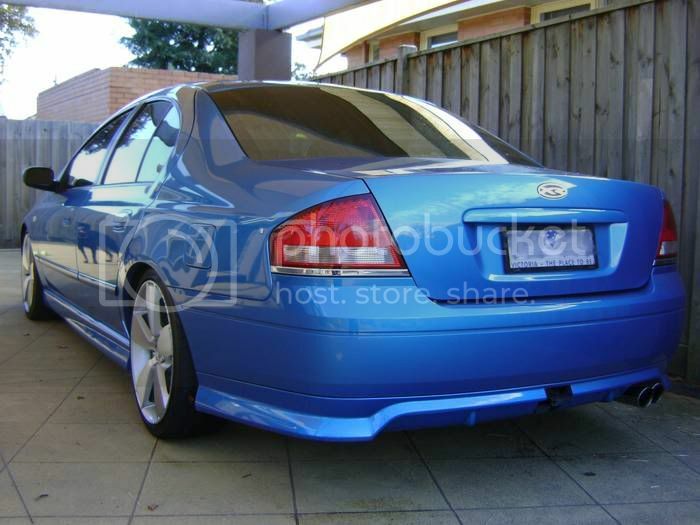 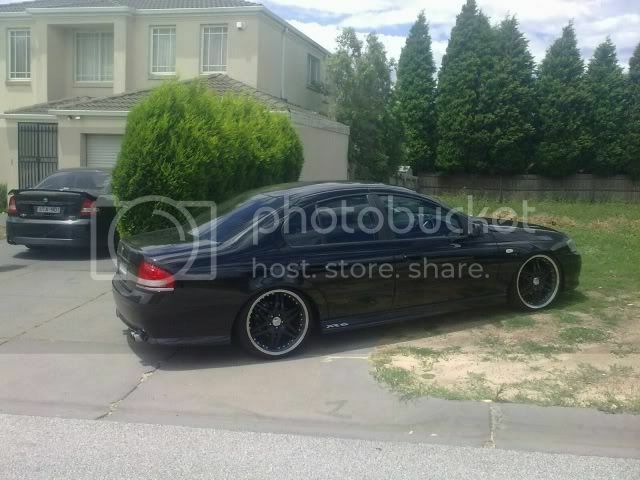 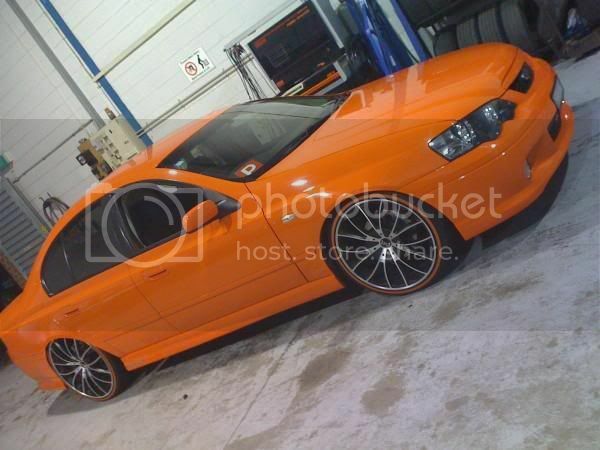 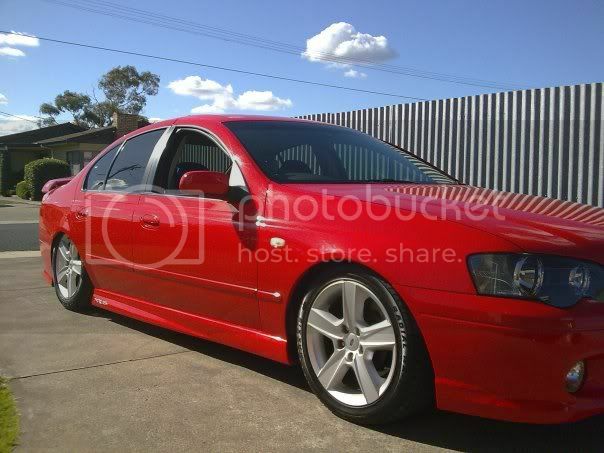 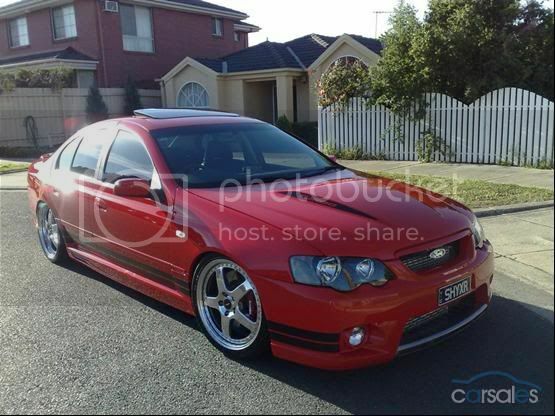 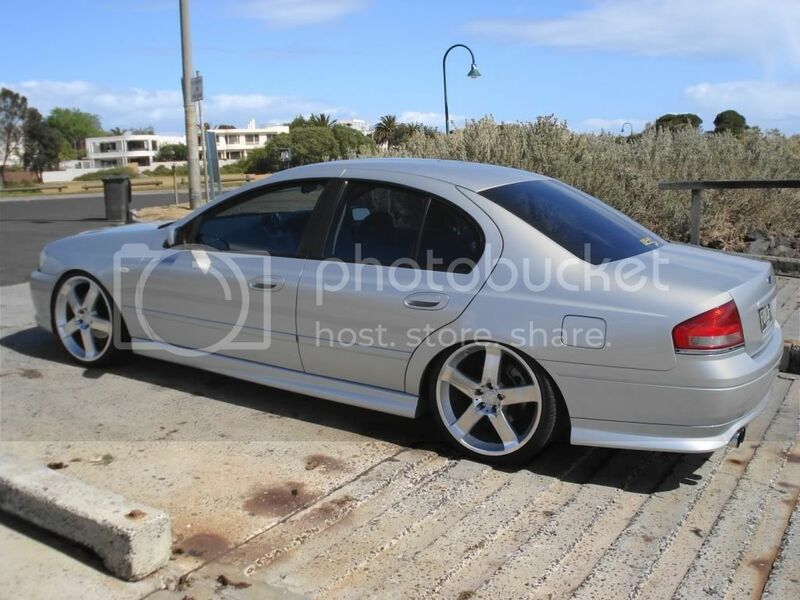 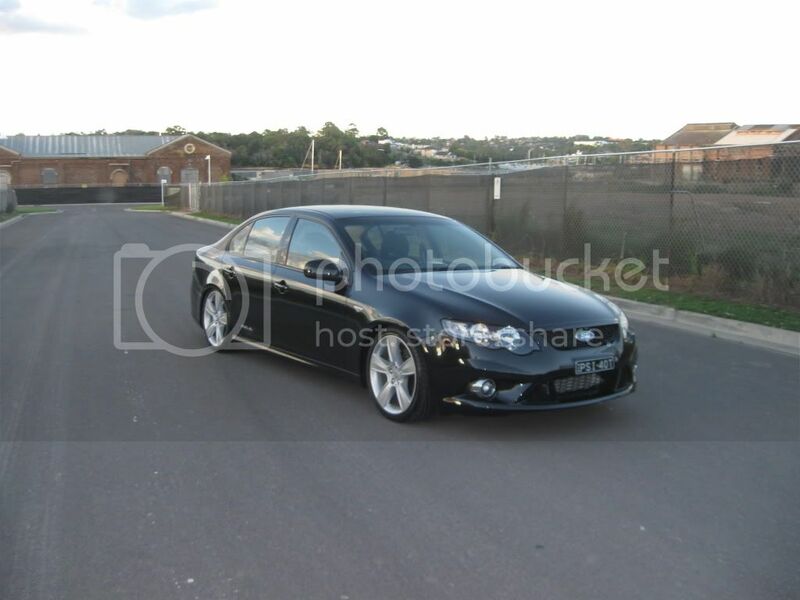 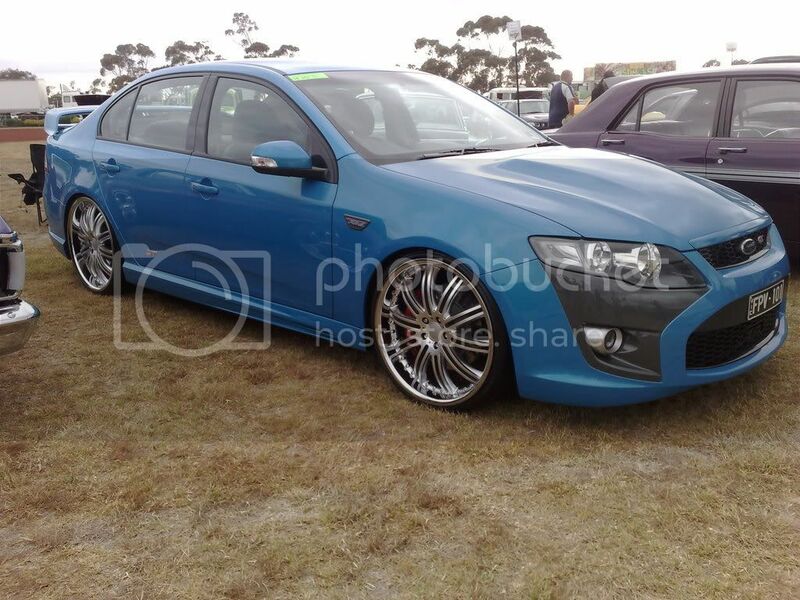 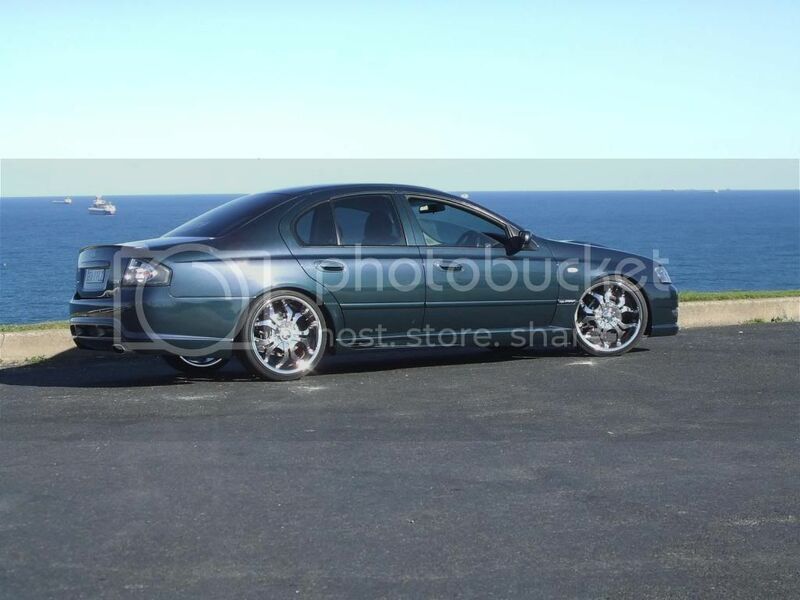 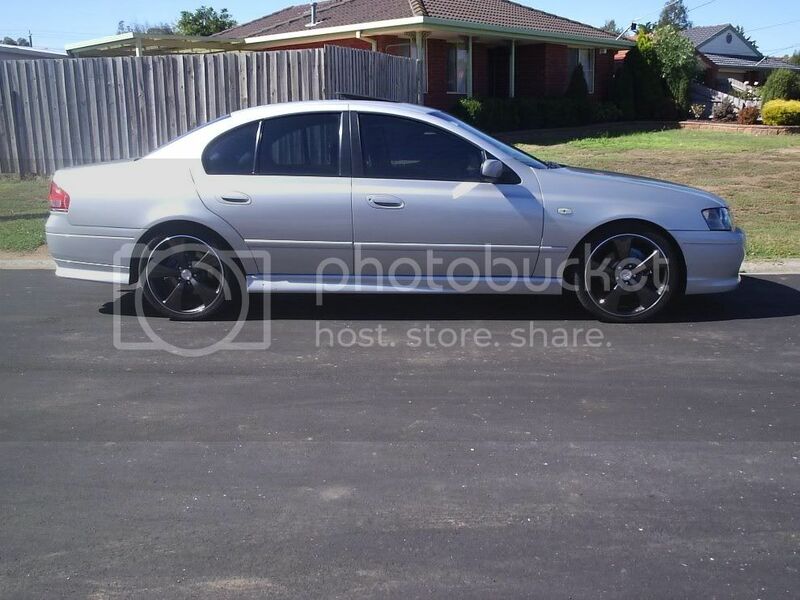 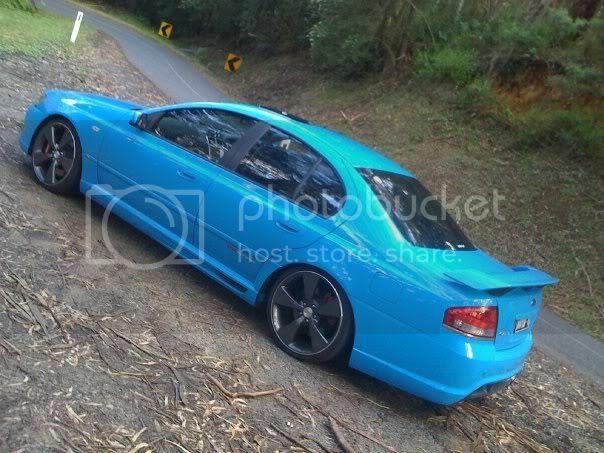 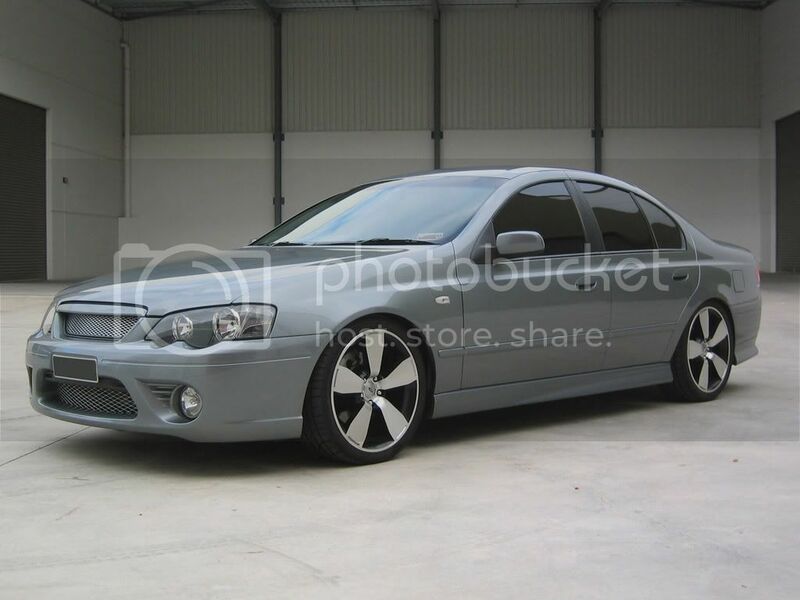 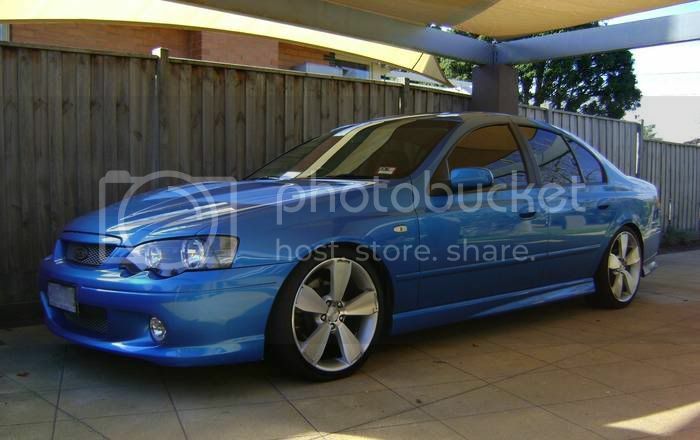 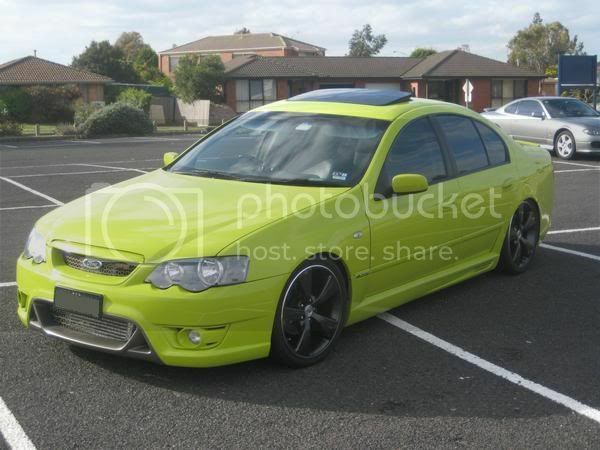 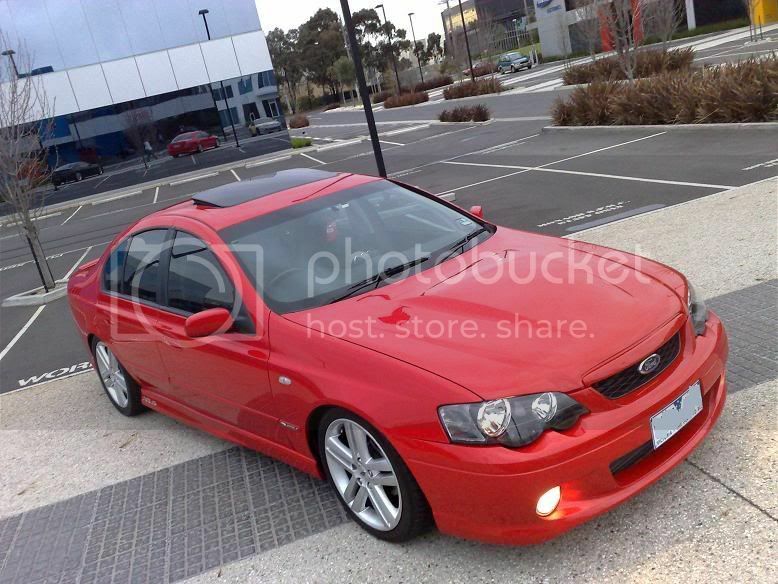 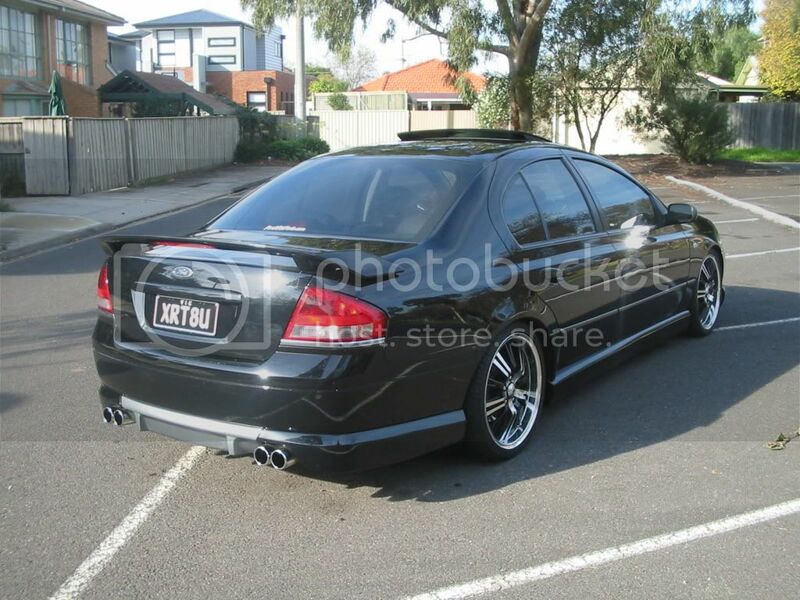 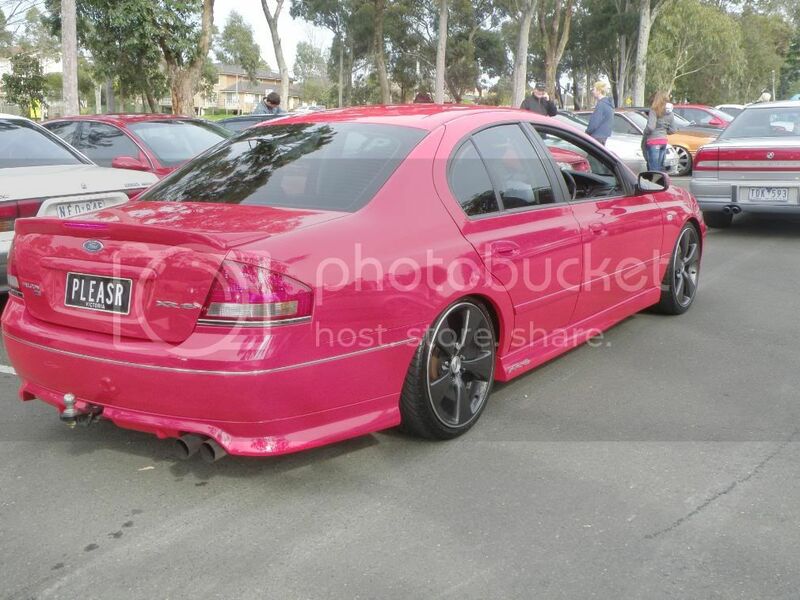 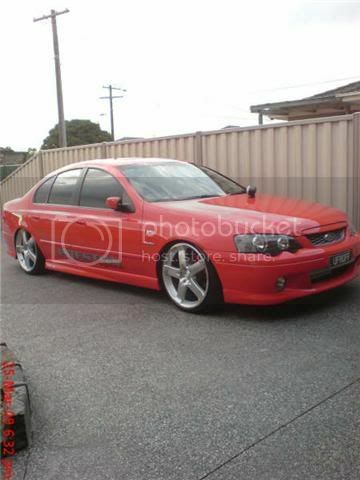 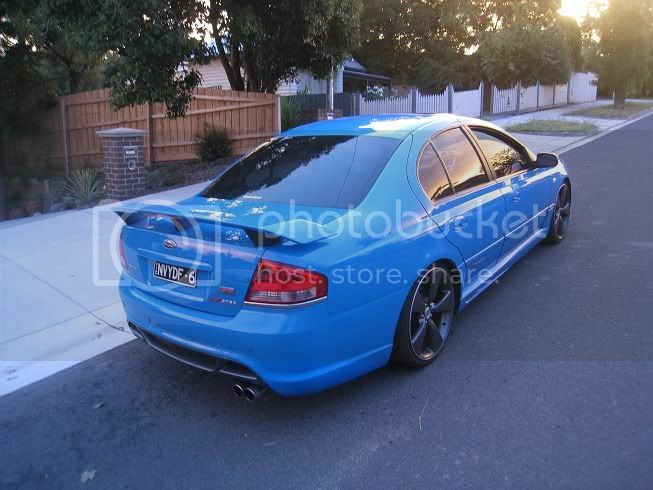 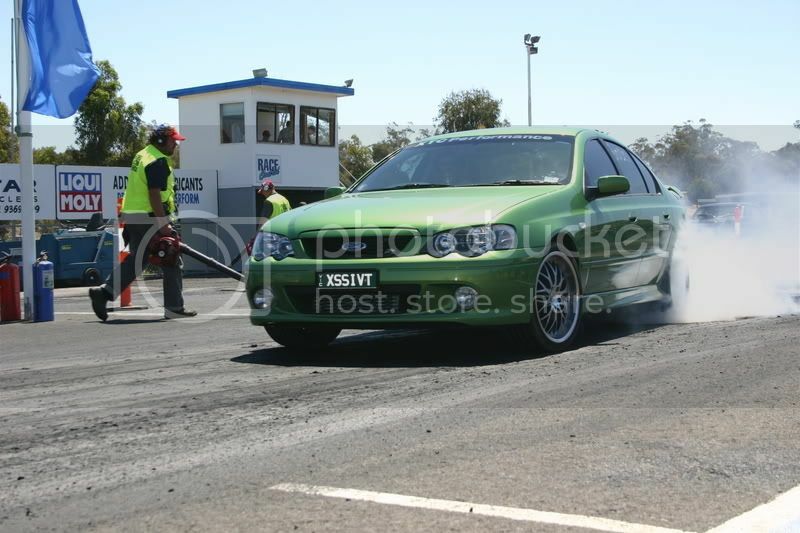 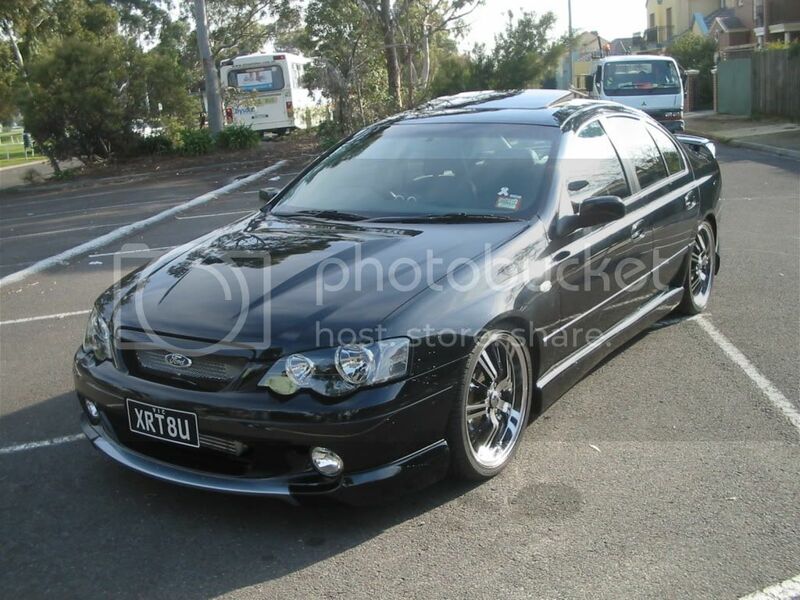 are alot of those off Fordxr6turbo.com? 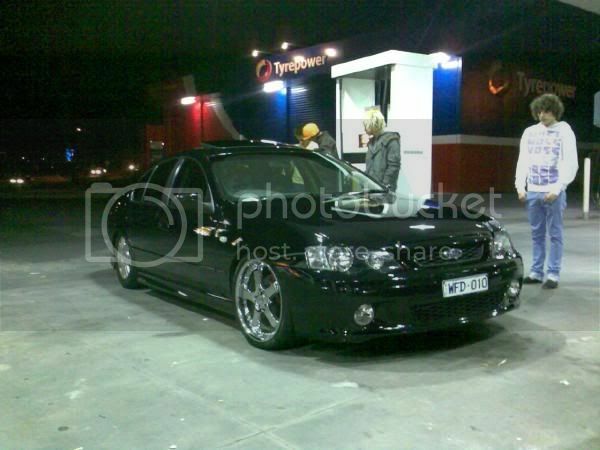 i notice alot of the pics from there. 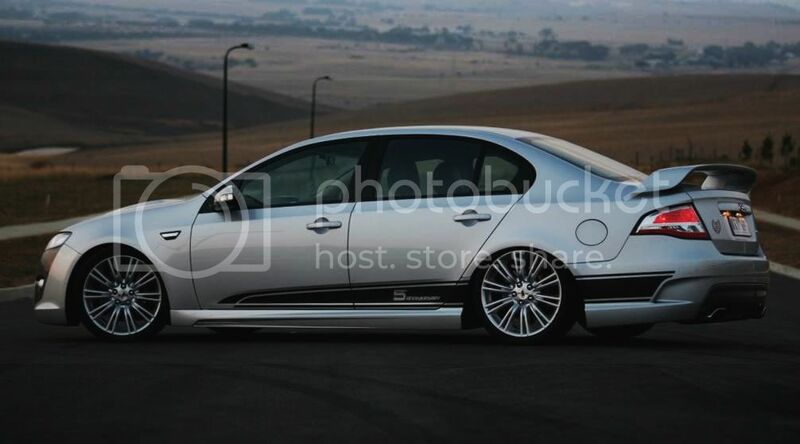 whats with the b&m shift g ? 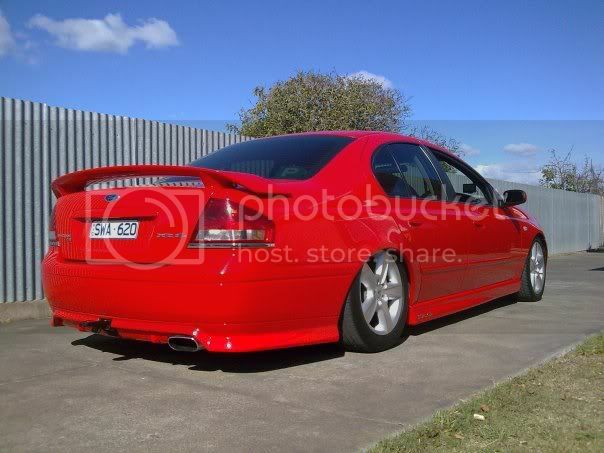 was it manual and you have converted it to auto ? 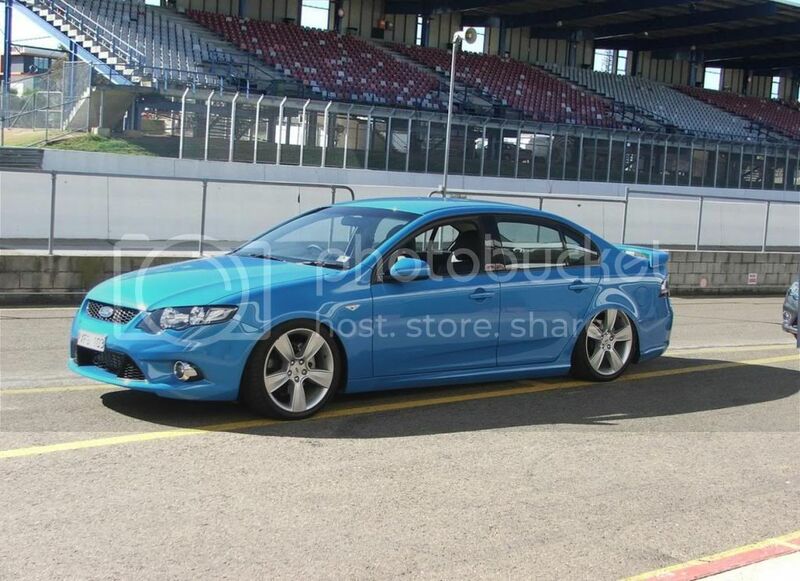 i think i have seen your sisters bf car before i think his a greek guy yeah and i think tuned by pitlane performance. 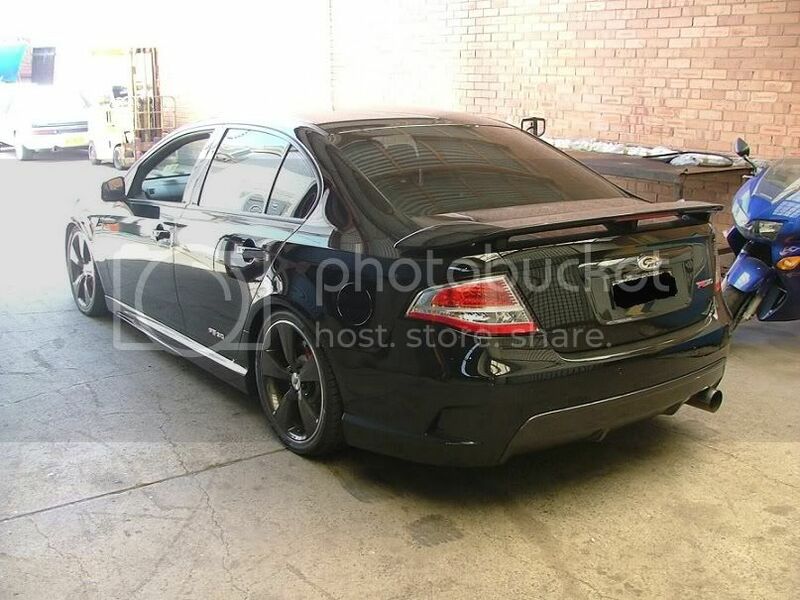 whats mods have both cars got and how much power are they making the black one goes well from what ive seen. 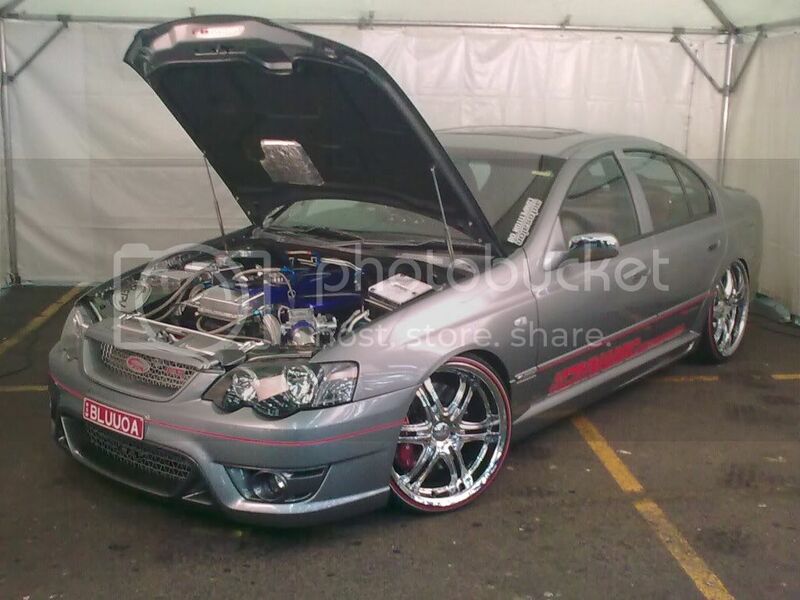 nice cars G How much power you got? 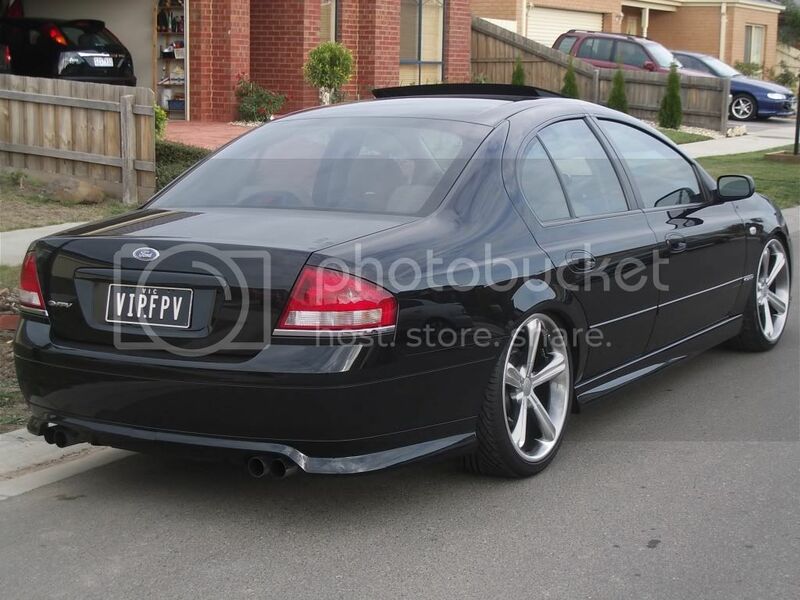 his got a 3speed in the car ..
yeh that black ba is pushing around 330rwkws very nice and neat car..
nice George,, didnt thing youll get another 1..